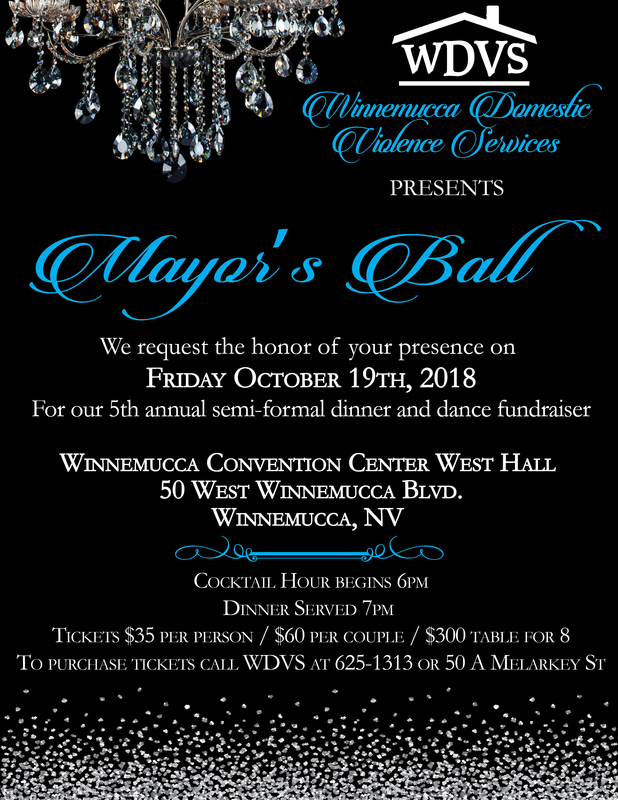 The Mayor's Ball will be here before we know it! And you don't want to miss our annual semi formal dinner and dance fundraiser! 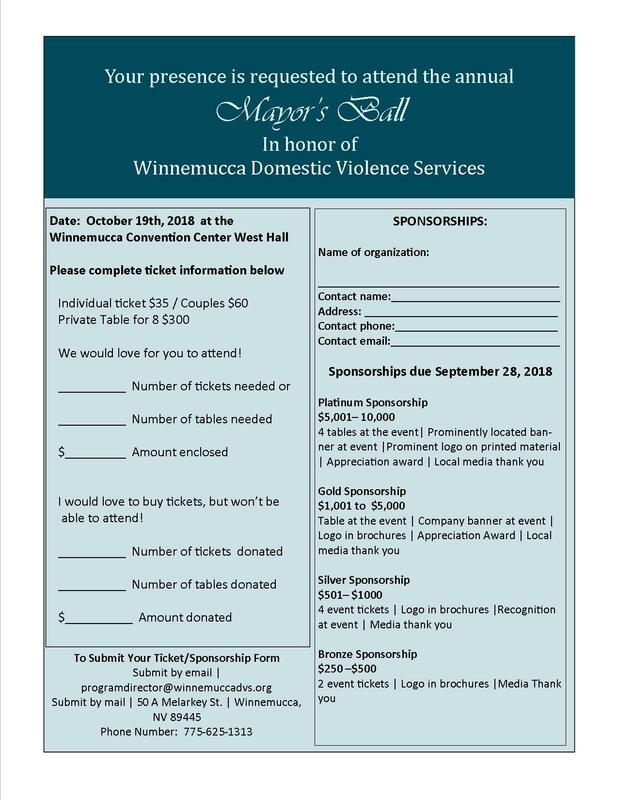 Besides being the funnest fundraiser in town, The Mayor's Ball also raises much needed funds for victims of abuse in our community. Join us in honoring Di An Putnam's accomplishments as Mayor and WDVS Board Member. Tickets are on sale now and sponsorships are available. See below to download the sponsorship form. WDVS is currently accepting donations for the silent auction. If you would like to contribute or have any questions please call the office at 775-625-1313.